Little Danny is currently engrossed in a study of the elemental content of cast iron cannonballs and grapeshot (or case shot) from Revolutionary War sites in Georgia and South Carolina. Thus far he has sampled (with a Bruker III-V) ray gun, examples from Camden, Charleston, Ebenezer, Fort Motte, Kettle Creek, Ninety-Xix, Purysburg, Savannah, Sunbury and Tar Bluff. The sample size is growing! The results of this study will be presented at the 2018 International Fields of Conflict Conference in Connecticut later this year. Hurrah for pXRF! Abby the Archaeobus in Savannah, ONE DAY ONLY! Abby the Archaeobus, the dreamgirl of the Society for Georgia Archaeology, will make a one-day only appearance in Savannah’s Forsyth Park on Saturday, March 24 from 9-1PM. Free and open to the public. Be there! Our history is beneath our feet. My wife is an archaeologist. Sometimes she does not tell me things about what she has done. This is an example. I discovered this video footage of one of her discoveries at Old Fort Jackson in Savannah, Georgia. It was 7 years ago, but it was news to me! Go Rita! and support us every time you shop. Our research team stands ready to locate more Revolutionary War sites in interior Georgia, but an archaeologist travels on his/her stomach! Consider buying something today and route it through AmazonSmile, it really is easy with no strings attached! Support Lamar Institute, Inc. by shopping at AmazonSmile. When you shop at AmazonSmile, Amazon will donate to Lamar Institute, Inc.. Support us every time you shop. LETS GO KROGERING –For Archaeology! and enter LAMAR Institute or the Number 64275 to enroll in the program. I will let everyone know how this money raising effort progresses. I just registered our personal card to get it started. SAVANNAH, Ga. – The long-buried life of the Confederate ironclad CSS Georgia is being resurrected and will be discussed in a free lecture given by two of the lead archaeologists preserving the ship’s artifacts. Speakers will bring recently recovered artifacts to the free event June 2 at 7 p.m., at the auditorium of the Savannah History Museum, 303 Martin Luther King Jr. Blvd., in Savannah, Georgia. Underwater archaeologist Stephen James, M.A., with Panamerican Consultants is a principal investigator on the project. He and underwater archaeologist Gordon Watts, Ph.D., of Tidewater Atlantic Research, co-principal investigator, will share the discoveries about the CSS Georgia in a free public presentation. Topics will include the unique ship’s construction, its funding, and life aboard the civil war gunboat. Attendees will also learn how divers are documenting and recovering the vessel, the laboratory work involved, and what happens next in this complex project. The Savannah History Museum will be open at no charge from 6-7 p.m. and light refreshments will be served in the auditorium lobby before the lecture. The lecture is sponsored by the U.S. Army Corps of Engineers, Savannah District and is free of charge and open to the public. The lecture and museum entry is hosted by Coastal Heritage Society. This lecture was previously announced for an earlier date. The date of the lecture has changed. •	Deepening the Savannah River channel for the Savannah Harbor Expansion Project would damage the vessel; therefore, the U.S. Army Corps of Engineers is overseeing archaeological excavation of the CSS Georgia to comply with the National Historic Preservation Act. •	Divers have been excavating the 150-year-old wreck since January and are preparing in June to recover cannons and large portions of casemates. 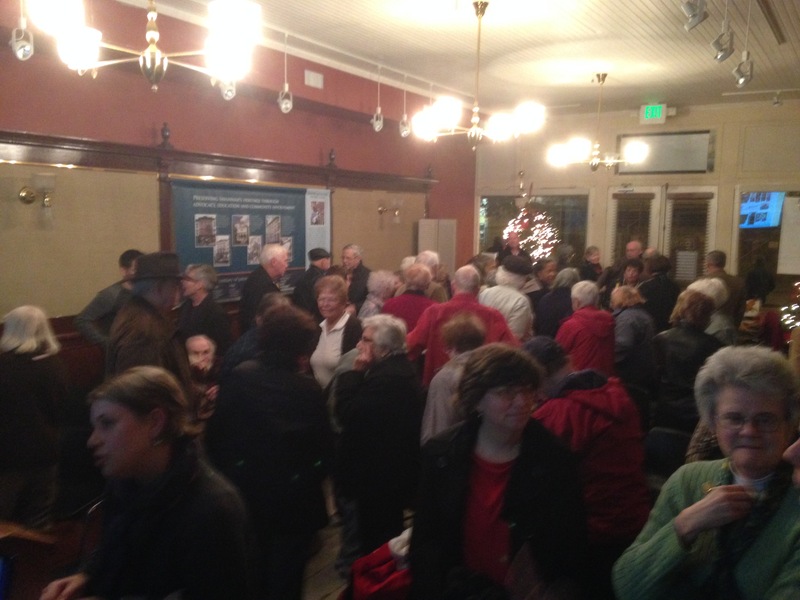 •	This lecture marks the first of eight public outreach efforts focused on the CSS Georgia. DATE: Monday, December 8 at 6:30 p.m.
Have You Seen This Battlefield? Caledonia Inspects the Brier Creek Battlefield, Photo by Rob Pavey, Augusta Chronicle, 2014. Do you remember the Uncle Remus story about Brer Rabbit and his misadventures with the silent Tar Baby? One after another of the aggravated Brer Rabbit’s hands and feet got hopelessly stuck until he tricked Brer Fox into getting him loose. Since 2006, Tybee Island resident Frank Drudi has been captivated by a different sort of Tar Baby — one that is 500 years old and from Trinidad. When Frank’s neighbor was digging a swimming pool, Frank said he could put the sand from the hole onto his empty lot. When the sand was spread, he found three heavy rough discs, clearly man-made. On the edge of each was an impressed seal that Frank recognized as a Spanish Cross. That started the research wheels turning. What were these artifacts, dug up barely a hundred yards from the Tybee lighthouse? And what clues did the four letters S-O-C-G in the quadrants around the cross provide? Daniel Elliott of the Lamar Institute performed an exhaustive archaeological survey of Frank’s lot, now described as the Drudi tract. He used ground-penetrating radar and systematic sampling to look at Frank’s property, but nothing else turned up. Frank discovered that the discs were made of tar that Spanish mariners of the 16th century used to seal leaks in their ships’ hulls. Tar that came from a huge pitch lake at La Brea, Trinidad, discovered by Columbus in 1498. From poring over history books and talking to experts on early Spanish exploration of the Southeast coast, Frank has arrived at a persuasive theory of when and how the tar objects came to Tybee. In 1521, two navigators sailing together out of the Caribbean, under contract to different aristocrats, both claimed land surrounding Winyah Sound near Georgetown, S.C. Claiming land for the crown and the sponsor involved performing a standard ceremonial ritual and recording the event by ship’s notary. A legal dispute followed over who had rights to explore and settle the vast coastal area. The king of Spain, Charles of Ghent, decided in favor of Luis Vasquez de Ayllon, whose captain had performed the ritual hours ahead of the other claimant. Having the authority to explore this barely-charted coast, in 1525 Ayllon sent Pedro de Quejo to do further reconnaissance and double-check the desirability of Winyah Bay for settlement. Taking no chances on establishing claims this time, Ayllon instructed Quejo to place stone markers with the king’s name and the date. Not a single one of those stone markers has been found. But according to Quejo’s logs, his first stop was at latitude 32.0 degrees. This means that on May 3, 1525, the first Europeans to set foot on Georgia soil did it on Tybee sand. 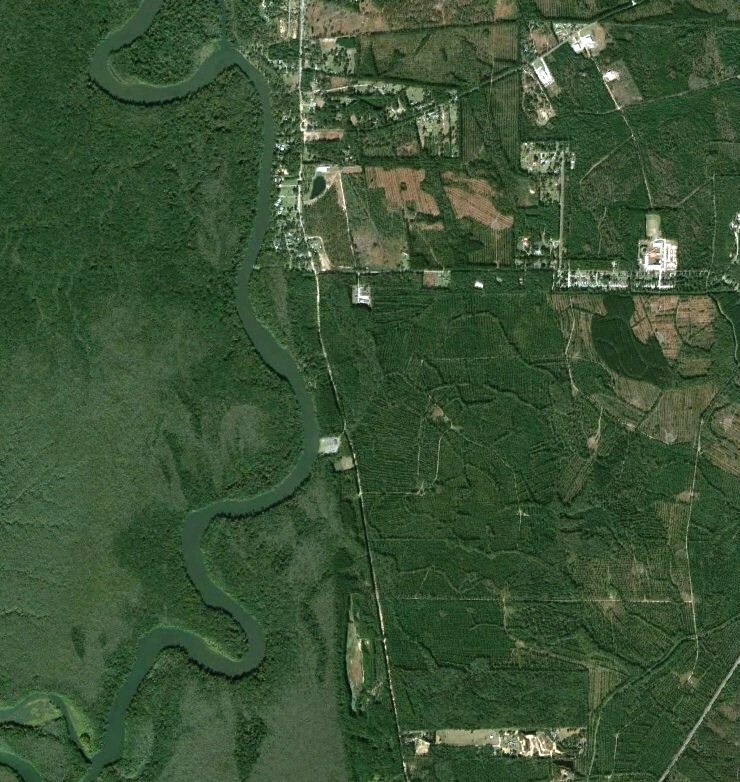 And the river that Quejo named the Rio de la Cruz on that date is the Savannah River. Frank figures that, when no stones were around to erect as markers, Quejo formed markers of his own. A composite of sand, grass, and the caulking tar he had on board. And what more natural point for the claim than the location that was later chosen in Oglethorpe’s day for the lighthouse? In July 1526, Ayllon set sail from Hispaniola with six ships and 600 settlers straight to Winyah Bay. But the mother ship foundered on a sand bar before landing. Many supplies were lost, the area was not as suitable for agriculture as described and there were too few Native Americans with whom to work and trade. So, Ayllon improvised a Plan B. His expedition sailed south searching for a better location. On Sept. 29, 1526, they established the settlement of San Miguel de Gualdape. Somewhere along the Georgia coast, maybe on Sapelo Sound, and named perhaps for the Guale Indians of the area. Ayllon himself died of illness there. The colony lasted about six weeks before the survivors sailed home, and its site has never been found. Maybe Frank Drudi’s markers hold a clue. Frank has looked long and hard at these tar babies, trying to coax more answers from them. But like Brer Rabbit, now he’s a bit stuck. When he heard about the West Chatham Middle School students who were studying early Spanish missions along the Georgia coast, he decided to see if their young minds could bring new eyes and ideas to answer some of his questions. Why haven’t more of these tar objects been discovered elsewhere? What do the letters S-O-C-G mean? Frank deputized me to carry the tar markers, almost 60 pounds each, like they were Faberge eggs, to show to the students. It was a good move. The students and their teachers, Mrs. Jacquelin Harden and Mr. Josh Wonders, were very interested to see these old relics that are, so far, one-of-a-kind. And they offered fresh insights. Samantha Jenkins suggested searching for references to “rough asphalt cylinders” in explorers’ narratives and that the letters may be initials for a church. Francheska Gonzalez suggested that there are more and larger markers nearby and always on the southern shores of their rivers. Several of the students speak Spanish, so they may discover Spanish-language journals, diaries or records that refer to the markers or the voyages. Regan Gayadeen said she has family in Trinidad and would get them involved to look for similar tar objects in museums and collections around La Brea. Diamond Folston and Sade Baker had experience making charcoal rubbings of cemetery headstones, so they took rubbings of the Spanish crosses to study more closely. Jack Steuwe commented on the markers’ plasticity, and Nicholas Bergeron on their symbolism. Some students were intrigued whether the seals stamped in the markers were made ahead of time in Hispaniola or on board the ships as situations changed. All three of the Drudi objects have the same imprint, but in other locations might different letters be used? And maybe we should search for the wooden stampers that were carved to impress the seals — like searching for the branding iron and not the brand. Could the markers have been moved at all by Indians? Are the letters really S-O-C-G, or are they D-O-C-G? Does C-G stand for Carlos de Gante (King Charles of Ghent) as Frank assumes or for something else? Could the G stand for Gualdape? The S for San or Santa? Students Cameron Myers, John Winters, and John Tyner lingered to look at the markers from all sides. They pointed out the wood impressions on the undersides and holes that might have been for lifting them. They suggested X-raying the markers to see if they contained medals or coins put in by the seamen who fabricated them. They suggested that 3-D scans be made of the markers, so that they could be 3-D printed and examined by other researchers. And they suggested that, with high definition, perhaps the wood grain and grass imprints might help tell the story. Tybee DPW Superintendent Danny Carpenter is equally fascinated. He has found hundreds of artifacts from the Civil War, the Fort Screven era, and even from the lost Martello Tower. He and Frank are hopeful that the West Chatham students make a breakthrough, crack this Da Vinci code and get the tar babies to reveal their secrets. 127. Archaeological Reconnaissance at the Drudi Tract, Tybee Island, Chatham County, Georgia. [With Supplement: Identity of the Drudi Objects, 2009]. By Daniel T. Elliott, 2008. (2.6 MB). I would add a few names to the list of cudos, such as Tom Gresham, James Eiseman, John Robertson, Ellen Provenzano (Mrs. P), Betsy Shirk, Catherine Long, Carolyn Rock, Lain Graham, the generous folks at Best Buy, Georgia Transmission Company and the Georgia National Fair, and, not least but most, Rita Folse Elliott (her foster mother). Way to go guys! I left out numerous others, but hey, this is my blog! Caledonia is a Rock Star!! Brier Creek! Brier Creek! Caledonia! Caledonia! 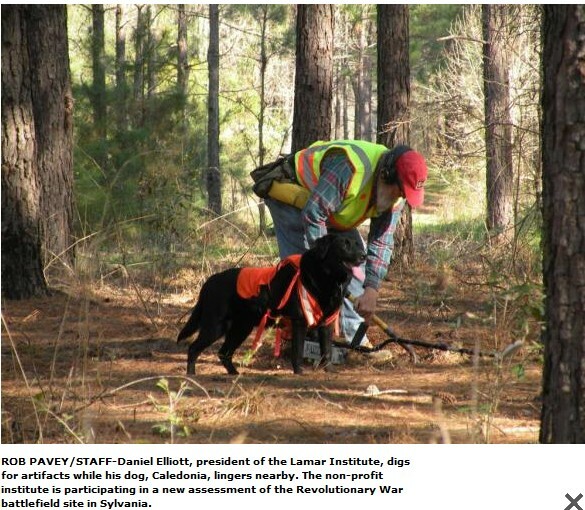 Efforts underway to preserve Revolutionary War battlefield | The Augusta Chronicle. Dan and Caledonia at Brier Creek finding a truck’s chrome tailpipe! SYLVANIA, Ga. — More than two centuries after a daring British surprise attack routed American forces at Brier Creek, new efforts are underway to preserve one of Georgia’s least explored Revolutionary War sites. “This battlefield has all the components very rarely seen in preservation,” said archaeologist Dan Battle, who has spent the past year assessing the Screven County historic site to determine what secrets it might still hold. The Battle of Brier Creek unfolded March 3, 1779, when a British force of 1,500 men led by Col. Marc Prevost circled back on Gen. John Ashe’s encamped Patriot army, which included about 1,700 soldiers. The late afternoon attack was a complete surprise. About 150 Americansdied, while hundreds of others were captured. The fleeing survivors left behind their arms, food and supplies. The British victory was so decisive scholars believe it prolonged the American Revolution by a year, changing the course of U.S. history. Today, much of the site lies within the 15,100-acre Tuckahoe Wildlife Management Area owned by the state of Georgia and managed for hunting and fishing – but not specifically for historic preservation. Portions of the battlefield and related camps sprawl onto private tracts. Although the area is marked by a bronze historical commission marker erected in 1956, little has been done in terms of formal archaeology. Battle’s company, Cypress Cultural Consultants, began evaluating the area last year with funding from a Transportation Enhancement Act matching grant obtained by the city of Sylvania. Objectives of the cursory assessment include pinpointing certain battle features – and possibly graves of the soldiers who died there. Although a final report isn’t due until later this year, the results are encouraging. Using technology known as LiDAR, which stands for Light Detection and Ranging, three-dimensional maps were used to identify the defensive line hastily arranged by the Patriot forces. Further studies helped locate other key areas, which are remarkably intact. Teams extracted about 600 items that were carefully preserved and recorded and will undergo curation and analysis at University of Georgia. “There are things from the camp, from the American lines – and we even know where the exchange of gunfire occurred,” he said. As historic battle sites go, Brier Creek’s remoteness is part of its charm – and also its curse. Its secluded setting, however, makes it vulnerable to tampering by relic looters, and possible degradation through land management programs, such as timber harvesting. Lee Taylor, regional game management supervisor for Georgia’s Wildlife Resources Division, said state officials are doing all they can to protect the resources at Tuckahoe, but will need a final report with hard data and recommendations. In the meantime, DNR keeps the area patrolled and under the watch of its officers, who will arrest anyone caught digging or looting. The area is also posted to warn against using metal detectors. Maintenance at Tuckahoe, including road scraping, is conducted carefully and will not include any excavations deeper than past activities, Taylor said. The ultimate objective, he said, will be to preserve the area’s cultural resources while also making sure Tuckahoe remains available to the public for hunting and fishing – the purposes for which most of the site was purchased in 1989, using license fee revenues from Georgia’s anglers and hunters. “The Georgia DNR will continue to rigorously protect intact portions of the site and ensure the entire battlefield is managed appropriately,” Taylor said. One of the biggest mysteries of the Battle of Brier Creek involves where the American soldiers killed in battle were buried, and by whom. Based on details from comparable battles of the Revolutionary War, the dead were likely moved into piles, near where they fell, and are probably in mass graves, Battle said. As far as who buried them, one piece of the puzzle turned up in an unlikely place: the archival records of the Dallas (Texas) Historical Society. It was there that references were found that the British Army’s 71st Highlanders ordered Loyalists from nearby South Carolina to bury the casualties, starting the day after the battle. Other clues emerged from maps and regimental records identified in the New York Public Library. Efforts to locate graves have included the use of “cadaver dogs” specially trained to detect the scent of human remains, even if those remains are centuries old. The surveys yielded positive hits, but further studies would be needed to confirm what lies beneath the surface soil. Battle believes the presence of Patriot casualties should earn the site more attention in the future. “Over 150 U.S. soldiers and militia are buried on the battlefield, not found or ever celebrated by America,” he said, adding that George Washington is believed to have visited the area during his Southern tour and said prayers for the killed Americans. Preliminary findings will likely recommend more detailed explorations in the future, but such projects are expensive – and tend to move slowly. “That’s why one of the most needed things at the site is a management plan,” said Dan Elliott, president of The Lamar Institute, a non-profit group that works with universities and state and federal agencies to conduct archaeological research. The findings so far indicate the battlefield was impacted by farming – in particular plowing – in the past, but is still relatively intact. Many artifacts discovered by the teams were left “in situ,” or in place, without being disturbed. Items were removed only from the shallow surface layer of disturbed soil, or “plow zone,” he said, and deeper items that were identified and left alone were mapped for future reference. 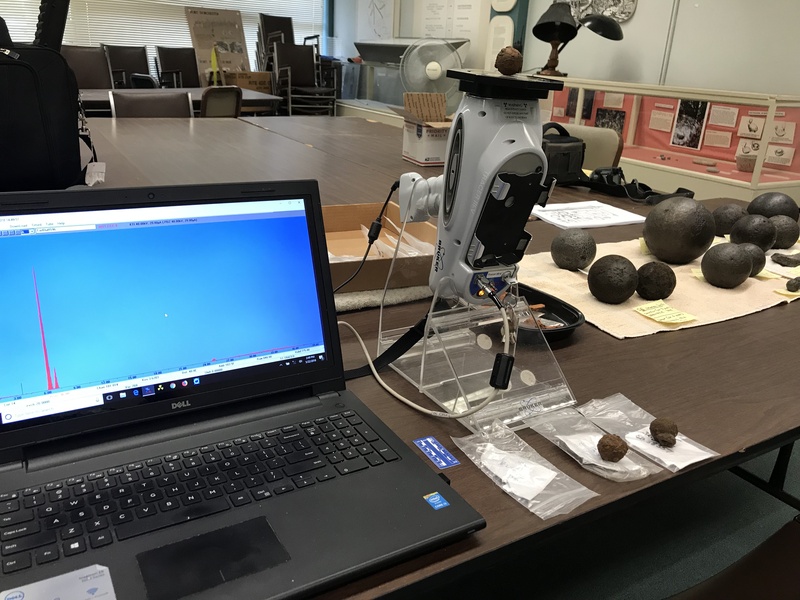 Although the lead musket balls and decaying metal fragments buried in the sandy soil have little monetary value, they have a tremendous value in their ability to tell a compelling story if properly extracted, Battle said. Archaeology is Happening in Georgia! Below are links to several recent newspaper articles about archaeology projects in coastal Georgia where LAMAR Institute researchers have been active. Both of these projects, the Brier Creek Battlefield Survey and the Isaiah Davenport House Museum excavations, are ongoing. The Brier Creek project is directed by Cypress Cultural Consultants, LLC with archaeologist Daniel Battle serving as the project’s field director and Daphne Owens as Principal Investigator. The LAMAR Institute has assisted at Brier Creek with skilled labor, loan of equipment. The Davenport project is a LAMAR Institute project with Rita Elliott serving as its PI. Both projects are telling us great things about the past and we look forward to bringing more of these discoveries to the public eye. 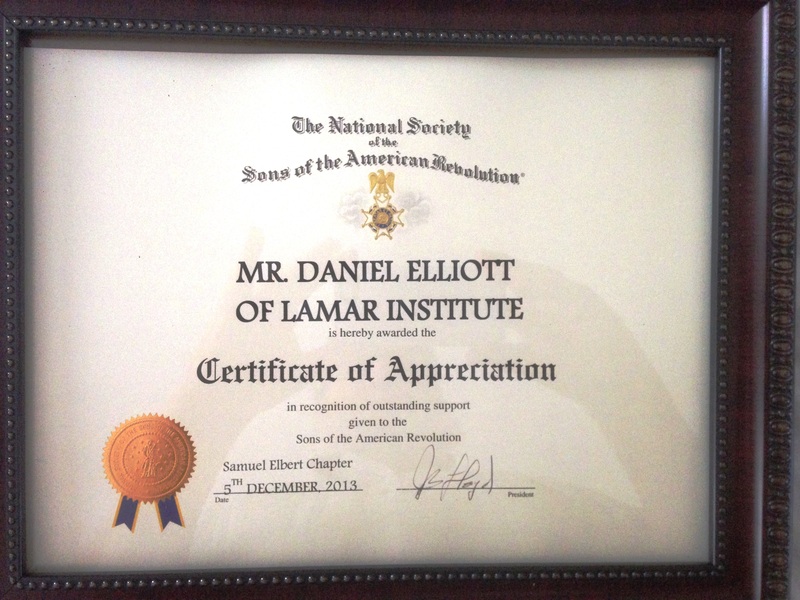 SAR Samuel Elbert Chapter Presents Award to Daniel Elliott, December, 2013. End of the year report on our Revolutionary War research in Georgia! The big gators were out on New Years Eve (2013) at Brier Creek. The LAMAR archaeologists are busy finding our Revolutionary War history in the ground. 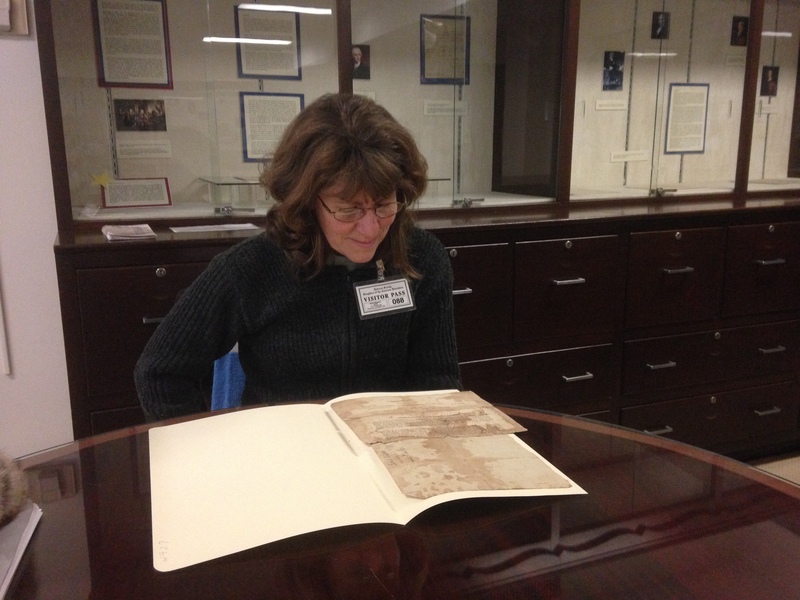 A recent Associated Press news story highlighted our archival research on the Revolutionary War in Georgia, which appeared in many news outlets. We are busy writing grant proposals for other revolutionary War battlefields in the Carolinas. Next week my colleague P.T. and I are giving a paper in Quebec at the Society for Historical Archaeology meeting on our 100+ horseshoes from the Carr’s Fort battlefield landscape in Wilkes County, Georgia. Busy times here in south Georgia. We look forward to writing up some of these stories for the public in 2014. Happy New Year! Slave artifacts found at Ga. highway project site. Slave artifacts found at Ga. highway project site – WTOC-TV: Savannah, Beaufort, SC, News, Weather & Sports. Long-lost Carr’s Fort site found by LAMAR’s archaeology team. Wilkes County, Georgia – Archaeologists with the LAMAR Institute discovered the location of Carr’s Fort, a significant frontier fortification that was attacked on February 10, 1779. The discovery was funded through grants from the National Park Service American Battlefield Protection Program, Kettle Creek Battlefield Association, and The LAMAR Institute. The month-long search by a team of six researchers encompassed more than 2,700 wooded acres of the Beaverdam Creek watershed. Battlefield archaeology at Carr’s Fort yielded about a dozen fired musket balls, several musket parts and several hundred iron and brass items from the 18th century. Robert Carr was a Captain in the Georgia Patriot militia and by 1778 his frontier home became a fort for more than 100 soldiers. In late 1778, the British launched a campaign to reclaim the southern colonies, which included a major recruitment effort among the frontier settlers. On February 10, Carr’s Fort was occupied by 80 Loyalists (Tories) led by captains John Hamilton and Dougald Campbell. Almost immediately, 200 Georgia and South Carolina Patriot militia, who had been hot on the trail of the Loyalists, laid siege to the fort in an attempt to take it back. An intense fire fight raged for several hours, in which more than a dozen were killed or wounded on each side. Patriot forces, commanded by Colonel Andrew Pickens, were ordered to break off the siege after he received word of that larger party of 750 Loyalists advancing from the Carolinas. The Patriots rode off taking the Loyalist’s horses and baggage with them. The Loyalists marched several hundred miles back south to rejoin the main British invasion force. Several weeks later, Captain Carr was killed at his home by a raiding party of Loyalist Creek Indians, while his wife and children escaped. “The search for Carr’s Fort was like looking for a needle in a haystack, only harder. We had no map and few descriptions of the fort, so its location was entirely unknown. Historians and land surveyors provided some clues to about a dozen potential target areas, which helped narrow the search. The LAMAR field team discovered Carr’s Fort on the last hour of the last day of the field project. 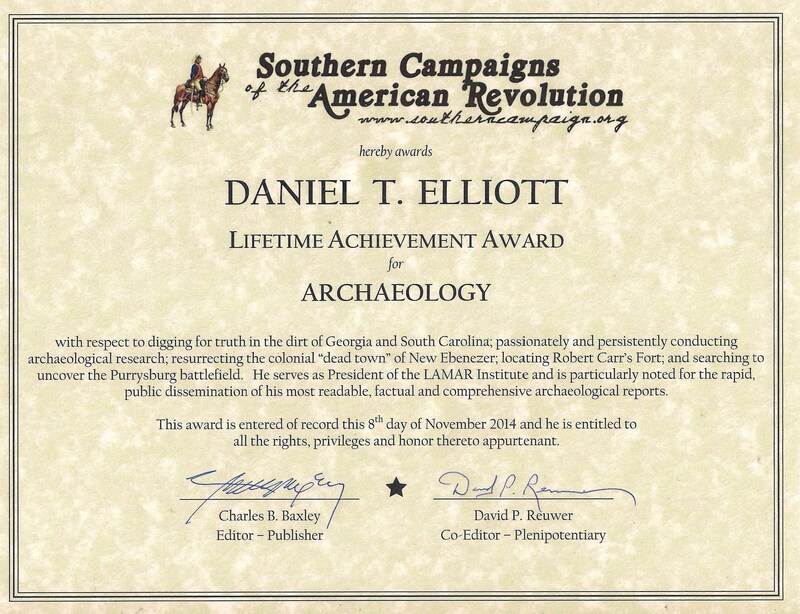 Although our funds were depleted, I had no trouble convincing my crew to return with me to volunteer with me for another day or two to better establish the identity of the archaeological finds as Carr’s Fort”, stated Daniel Elliott, President of the LAMAR Institute. The archaeological team used metal detectors to systematically comb the woods for any evidence of the fort and battlefield. Each find was labeled and carefully plotted using GPS technology. More than a dozen 18th century settlements were located, but none of these proved to be the fort. Wilkes County was a hot-bed of revolutionary fervor during the American Revolution. The discovery of the archaeological remains of Carr’s Fort indicates great potential that remnants of more than 30 other forts in Wilkes County may still exist. The identification of such resources can provide important new information on Georgia’s role in the American Revolution and how this international conflict affected remote frontier settlements. Researching, locating, identifying, and interpreting fortifications and battlefields is one of The LAMAR Institute’s research focuses. 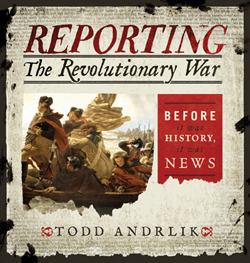 This includes the Colonial, Revolutionary War, War of 1812, and the Civil War periods. Prior investigation of Revolutionary War sites has included the battle fields of Kettle Creek, New Ebenezer, Sansavilla Bluff, Savannah, and Sunbury. A complete report on the Carr’s Fort Battlefield project will be available to the public in early 2014. 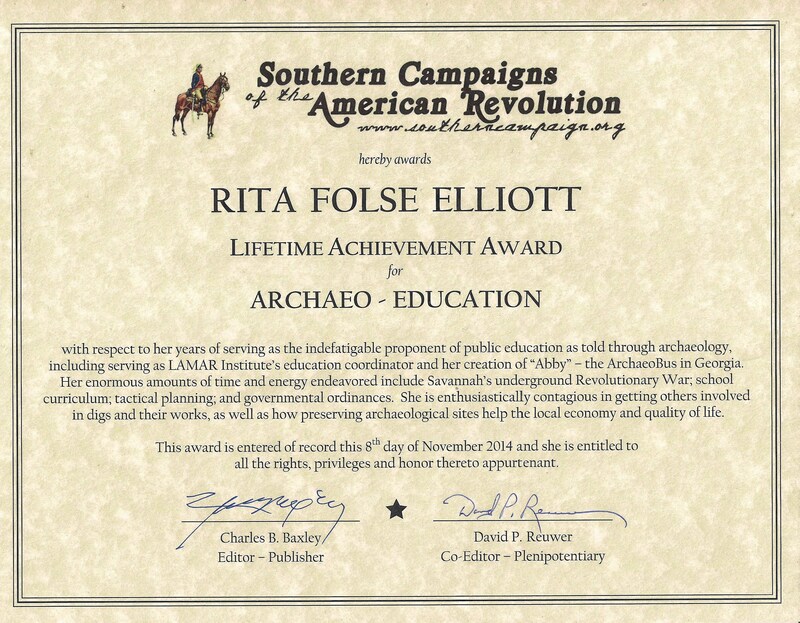 Rita Elliott is giving free tours at this interesting archaeological site near Savannah, Georgia. 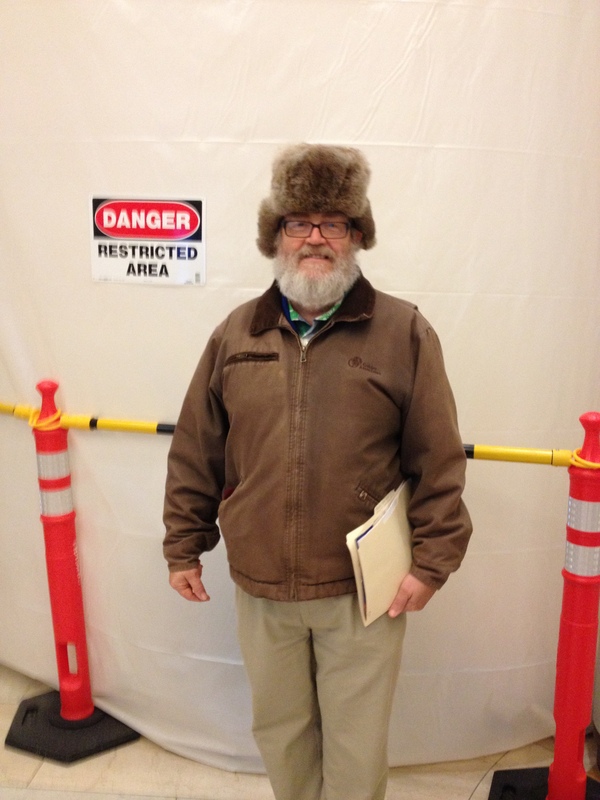 DAR members hear program about Kettle Creek site archaeological finds. 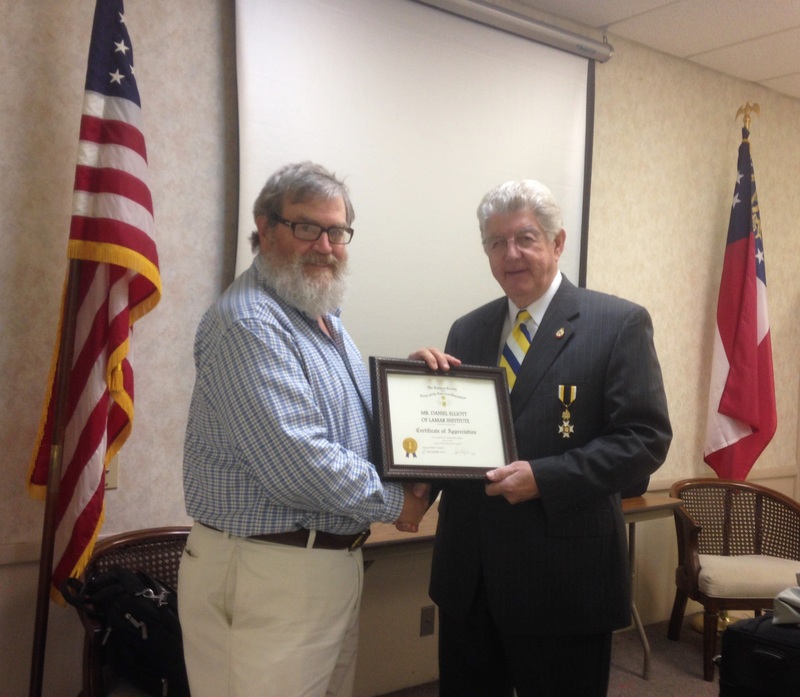 Dan Elliott of the Lamar Institute in Savannah presented the program to members of the Kettle Creek Chapter NSDAR and guests at the meeting Monday, January 19, at the Washington Woman’s Club. Introduced by the January program chairman, Nancy Sisson, Mr. Elliott presented the interesting program on the results of an indepth research study of the Kettle Creek Battle site conducted by the Institute. The study, funded by the National Park Service and the City of Washington, included archaeological finds as well as genealogical information and other studies of the site. The Battle of Kettle Creek took place on February 14, l779, in Wilkes County and was a moral victory for the Patriots. Much of the findings and collections will be placed in the Washington-Wilkes Historical Museum. Prior to his presentation Anneice Butler, co-regent, presided. Ginny Broome, chaplain, led the chapter in the opening rituals and offered the blessing for the delicious lun- cheon. After the luncheon and program, Mrs. Butler conducted the business meeting. Milly Arnold gave the National Defense message on the upcoming celebrations being planned for the 200th anniversary of the birthday of Abraham Lincoln. Carol Faz, co-regent, reminded the club of the recognition of the Founding of Washington to be held at Fort Washington on January 23 at 1:30 p.m.
Other items of business were conducted before the meeting adjourned. Members present were Ginny Broome, Nancy Sisson, Oleta McAvoy, Laura Toburen, Anneice Butler, Carol Faz, Louise Burt, Lou Singleton, Mary Ann Bentley, Edith Lindsey, Milly Arnold, Maxine Singleton, Anna Gunter, Phyllis Scarborough, Michelle Smith, Paula Butts, Debra Denard, Rosalee Haynes, Joanne Pollock, Linda Chesnut, Kathryn Sanders, Suzette Kopecky, Jane Burton, Carol Crowe Carraco, Betty Slaton and Kathy Dinneweth. Guests included David Denard, Stephanie Macchia, Jennifer Atchison and Dan Elliott. The LAMAR Institute is proud to sponsor the May 12th event in Savannah! If you own a building downtown and you want to paint it fuschia, there’s an app for that. Same if you want to demolish it, add a sign to the front or attach a flagpole: You’d have to file an application for approval through the Metropolitan Planning Commission. It’s because of the city’s rigorous rules concerning the renovation of its old architecture that Savannah remains one of the largest and most glorious landmark historic districts in the country. But you may be surprised that there are no such stipulations for the archaeological sites buried beneath those historic homes and offices. There was no obligation to examine the old shipyards layered in the banks of the Savannah River as Hutchinson Island was developed, nor was there any archaeological methodology applied to the massive dugout of the underground parking garage near Ellis Square. Those are only two recent examples—there’s no telling how many other sites have been lost throughout the decades. Fragile remains of Colonial–era homesteads, indigenous campgrounds, slave housing and other historic sites have “literally been bulldozed over” as Savannah has been developed, but the good news is that there is plenty left to explore. Ellen Harris, the MPC’s cultural resource and planning manager, wants to investigate the possibility of incorporating archaeology into its own zoning ordinance, if not into the complex Unified Zoning Ordinance the commission has been drafting for years. Digging in old records, Harris found that the MPC had received unilateral support for a code written in the late 1980s that would have required government projects to perform archaeological research before breaking ground, but the initiative fizzled with personnel changes. She hopes to revive the mandate for city and county projects and provide significant tax incentives for private entities. Acknowledging that an ordinance applied citywide needs current community input before it can be written, Harris has organized a free introductory educational session open to the public. “Perspectives in Archaeology: Digging for the Truth, A Panel Discussion,” will be held at Trinity Methodist Church on Telfair Square this Saturday, May 12 at 2 p.m. A reception will follow. While research shows that archaeological preservation has economic benefits for cities such as boosted tourism and reduced blight, it can be a scary topic for developers, for whom the discovery of a historic homestead or cemetery can mean the shutdown of a worksite. Harris encourages them to join the conversation. The nearby city of Beaufort, S.C. has laws mandating archaeological study before any development, and Florida has a statewide network of local archaeology ordinances. But Harris counts Alexandria, VA as the model for archaeological preservation. The city adopted an ordinance in 1989 that protects sites within the city’s center while acknowledging the needs of developers. Dr. Pamela Cressey, the archaeology guru who helped author the Alexandria ordinance and continues to head the city’s museum devoted to locally–excavated artifacts, will visit Savannah to sit on the upcoming panel. While Dr. Cressey promises to provide insight into the process that resulted in Alexandria’s ordinance, she counsels that Savannah must develop its own model. Dr. Cressey will be joined on the panel by local architect Neil Dawson, U.S. Fish and Wildlife archaeologist Richard Kanaski and Georgia Southern anthropology professor Dr. Sue Moore. Local historian and filmmaker Michael Jordan will moderate. Elliot, who will be in attendance at Saturday’s panel, looks forward to a time when Savannah’s buried sites will be as valued as its buildings. 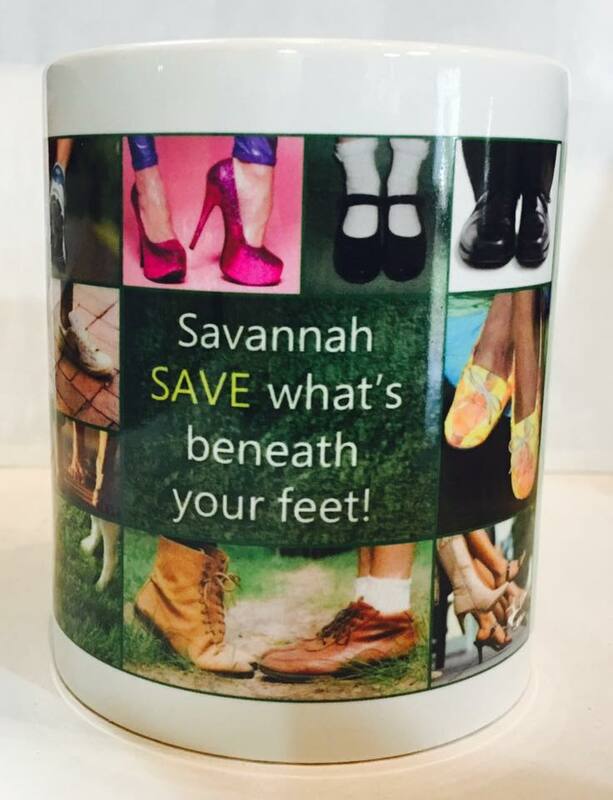 However, even minor construction projects and home renovations “could peel back priceless pages of Savannah’s historic fabric” if policies are in place to preserve archaeological finds. 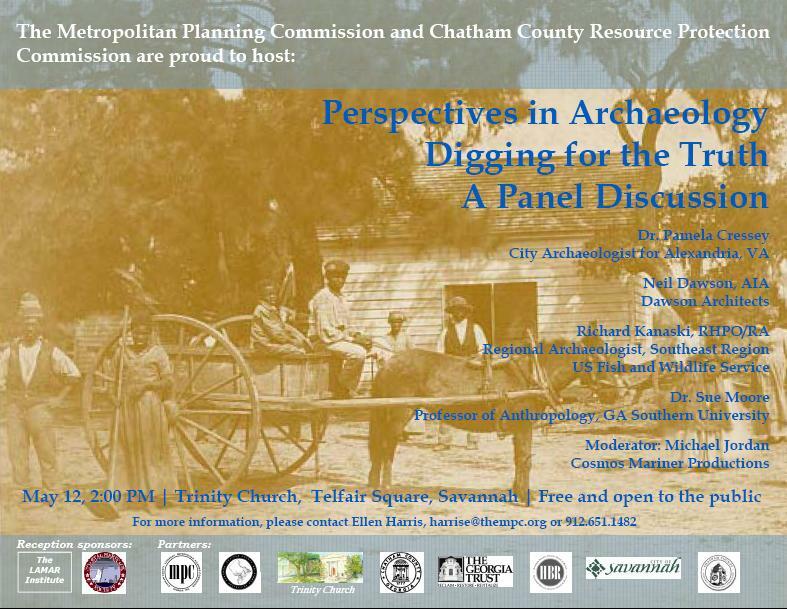 When: Saturday, May 12, 2 p.m.
Where: Trinity Methodist Church, 127 Barnard St.
I’d like to invite you to attend a panel discussion on archaeology on May 12th at 2:00 at Trinity Church on Telfair Square- please see attached flyer. There will be a reception afterwards. Also please forward to others who may be interested. Special thanks to our reception sponsors: The LAMAR Institute and Coastal Heritage Society. Our partners in the project are: Metropolitan Planning Commission, Chatham County Resource Protection Commission, Trinity Church, Chatham County, The Georgia Trust for Historic Preservation, Historic District Board of Review, City of Savannah and the Chatham County Historic Preservation Commission, The LAMAR Institute and Coastal Heritage Society. Chatham Commissioners designate Pennyworth Island as historic following swampy slog | savannahnow.com. Heritage museum to bridge Pin Point’s past and future | savannahnow.com. Link to recent news stories about Clarence Thomas, Harlan Crow, Pin Point, wealthy benefactor, etc.